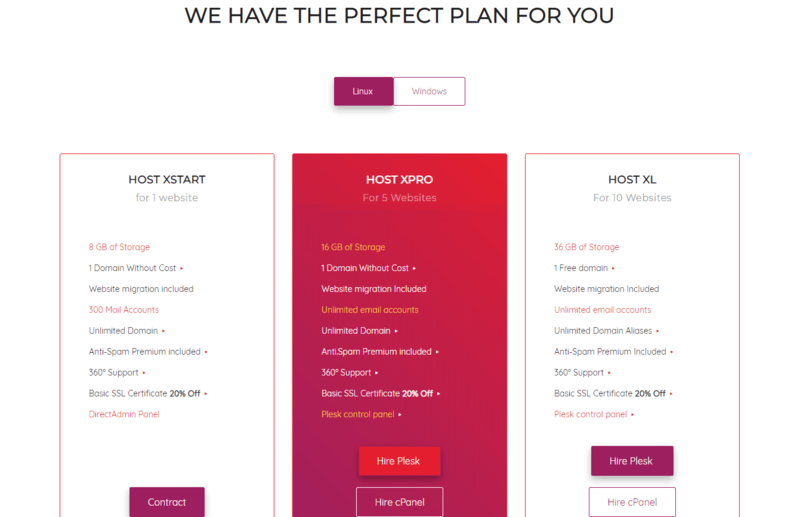 Xpress Hosting Review 2019: Is Xpress Hosting a Good Hosting? Xpress Hosting is a Mexican website hosting company with a scalable cloud infrastructure. Their Linux hosting offers the best value as their Windows-based hosting is a bit lacking in storage. Xpress Hosting is a Mexico-based IT solutions company offering shared hosting, reseller hosting, and VPS hosting. Their cloud shared hosting provides a good set of basic features that includes unlimited bandwidth and databases. Advanced users may find them a bit lacking as they don’t offer support for advanced developmental tools such as Python and Ruby. This provider doesn’t offer a lot in the way of advanced features. They do offer premium anti-spam as well as support for PHPMyAdmin 4.4 to 7.1. However, they don’t provide support for advanced developer tools such as Python. Also, they don’t offer free SSL certificates. There is a discount on their basic certificates, but it’s only applicable during signup. If you’re a beginner, you’ll want to stick with their one-click installer to add programs such as WordPress. They don’t offer a website builder, so if you don’t already know WordPress or another CMS program, you’ll have a bit of a learning curve. For other webmasters, most plans offer Plesk over the standard cPanel. If you don’t know Plesk, you’ll have to learn it, but it shouldn’t take you long to get acclimated. This plan offers reasonable storage for the number of domains hosted and plenty of email accounts even for the basic plan. You’ll notice that these Windows plans only support single-domain hosting and storage is light except for the Win XL plan. Regarding pricing, the Linux plans are all very reasonable. Windows plans are as well except for the XL plan which is a bit pricier, especially considering the lack of storage and that it’s single-domain hosting only. On a positive note, you do get a free domain for a year, so that will save you a few bucks each year. All plans come with a 30-day money back guarantee. Xpress Hosting offers reasonable hosting with phone, live chat, WhatsApp chat, and online ticketing support. Ticket support is available 24/7 while phone support is available from 8 a.m. to 9 p.m. Monday to Saturday and 10 a.m. to 6 p.m. on Sunday. WhatsApp and live chat support are available Monday to Friday from 9 a.m. to 8:30 p.m. There’s also a fairly robust database covering all products offered by the company. Xpress Hosting is best suited for those looking for Linux cloud hosting with solid storage, ample bandwidth, and a good set of basic core features. Advanced users and those looking for Windows hosting should probably look elsewhere. Wondering how Xpress Hosting stacks up against other Web Hosting companies? Enter any other Web Hosting company and we will give you a side-by-side comparison.